Trick or Treat with Sonic, enjoy spooky drink specials for only $5! 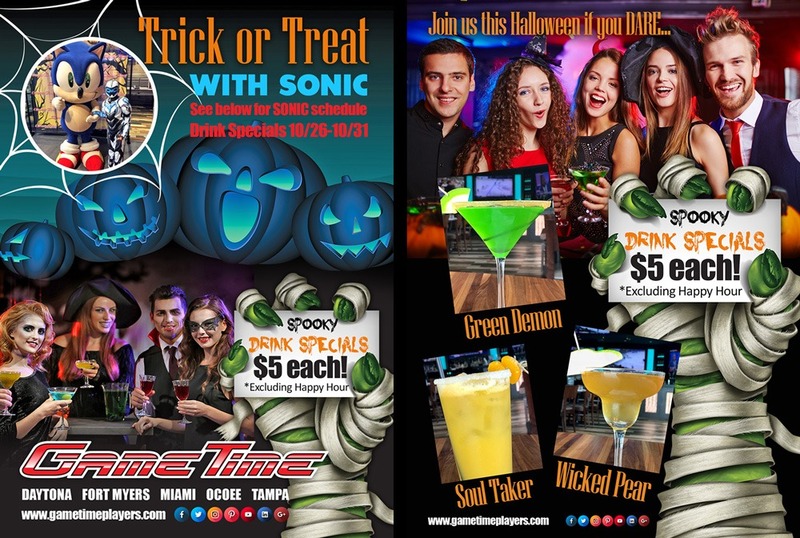 Trick or Treat with SONIC the Hedgehog during these fun & Festive events! SONIC appearances will be every hour on top of the hour for 20-30 minutes.